He has made a picture with real rain, behind which is real sunshine, and you expect a rainbow every minute. 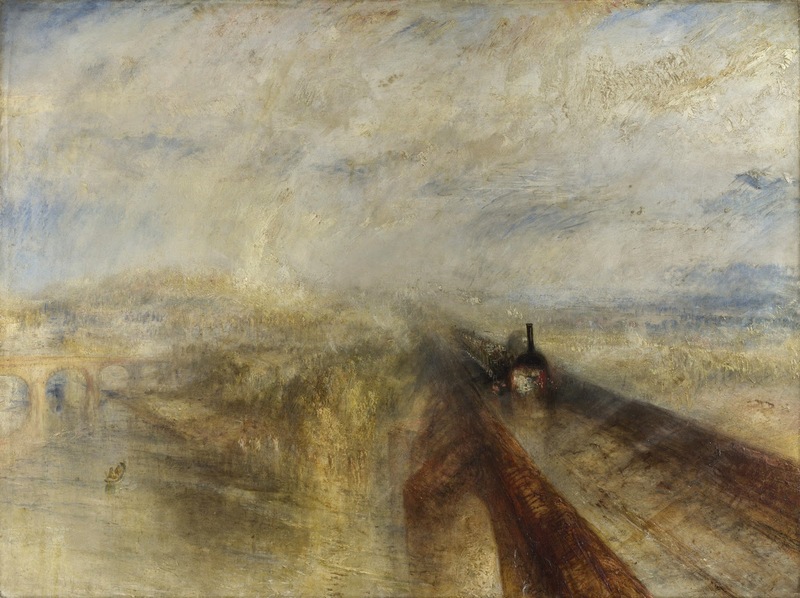 Meanwhile, there comes a train down at you, really moving at the rate of fifty miles an hour, and which the reader had best make haste to see, lest it should dash out of the picture, and be away up Charing Cross through the wall opposite. All these wonders are performed with means not less wonderful than the effects are. The rain … is composed of dabs of dirty putty slapped on to the canvas with a trowel; the sunshine scintillates out of very thick, smeary lumps of chrome yellow. The shadows are produced by cool tones of crimson lake and quiet glazings of vermilion. Although the fire in the steam engine looks as if it were red, I am not prepared to say that it is not painted with cobalt and pea-green. And as for the manner in which the ‘Speed’ is done, of that the less said the better – only it is a positive fact that there is a steamcoach going fifty miles an hour. The world has never seen anything like this picture.